Arnold Horner formerly lectured in Geography at University College Dublin. He has written widely on the geography of Ireland, giving increasing attention in recent years to the history of maps and mapping in Ireland. He has had three books published by Wordwell concerning the innovative county maps produced in the early nineteenth century by the roads engineer and surveyor William Larkin: Mapping Offaly(2006), Mapping Meath (2007) and Mapping Sligo(2011). 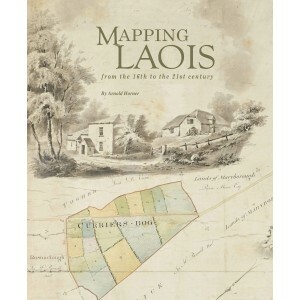 His book exploringDocuments relating to the Bogs Commission 1809–1813was published by the Irish Manuscripts Commission in 2018.